Several months ago, Sparklepeep over on DeviantArt resolved to make a minigame for every episode of season 3. As the season flashed past, the games just kept coming, and finally, the set is (almost) complete! Find them all below the break! Happy Sunday! May yours be lazy and sweet. 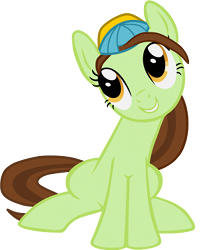 Development on major projects has been slow this week, but we've got loads of creative pony flash games to fill the void! Today, we've got puzzles, a pixelated Pinkie Pie balloon catcher, and a mind-bending little game based on Keep Calm and Flutter On. You know where to click! 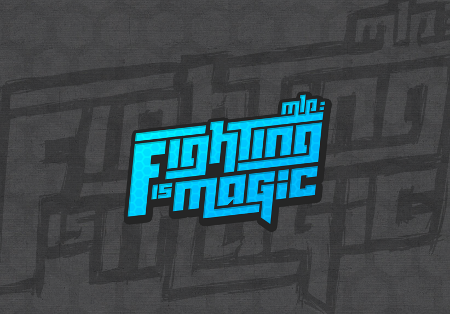 As many of you know, earlier this month, Mane6's highly anticipated project, Fighting is Magic was shut down by a Cease and Desist demand from Hasbro. In this megapost, you'll find the devteam's reactions to the events of the past few weeks, a massive FAQ section, as well as some insight into the future of Mane6. It's definitely worth a read. This game has been on the reviewing table for nearly forever, and it's about time somebody posted about it. Meloetta: Melody of Discord is a crossover game by DialgaBrite (developer of Innocent Luna Game) featuring elements of pokemon and ponies, as well as a bunch of other stuff. The game is pretty extensive, with several stages and varied gameplay. In addition to its website, the game also has a facebook page, which you can find here. Servant of Discord is a pretty little Zelda-esque game set in a forest temple - and that's the extent of the story for now. Although this beta is rough around the edges, with bumpy collision and a little lag in the online version (at least in my case) it shows a lot of promise, with nice sprite work, mechanics, and soundtrack. Playing as Twilight, slash enemies to bits with a magic sword or fire spells at them from a distance. Locate the keys and blast your way through to the boss. Good luck! Today some nasty hackers broke in and deleted 90% of their assets. Thankfully the team had external backups of their game data, so this shutdown will probably only be temporary. The team confirmed that this had nothing to do with my negative feedback on their first game or Blitz releasing his Flash port of Act 1 earlier today (even if it is somewhat of a strange coincidence), but I extend my sympathies towards the team and hope that they will be able to find some way of recovering their lost work (after all, you can recover data if it hasn't been written over after being deleted). I may not have been very fond of their first game, but I was quite positive that it would have been a major improvement over Act 1. Goodbye for now, Filly Gamez. Hope you get up and going in a bit. 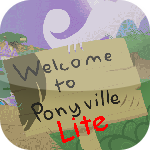 If you've been reading the comments on our website you might have noticed a certain fellow discussing a planned Welcome to Ponyville Flash port, and despite my infamously negative review of the original I encouraged him to go ahead with it. By cutting all the fat sound effects and using indexed colours BlitzProg was able to make the game 200x smaller, and if you want your audio back don't fret because he is almost finished making a bigger version of the game with your music and whatnot (compressed, of course). So...yeah. This port is not endorsed by FillyGamez in any way, and apparently they are pretty unhappy that it exists. Still, at least if you want to play Welcome to Ponyville it won't be taking up 1GB of valuable hard disk space, eh? Fluttershy may be undisputed best pony, but she's seriously messed things up this time. Ponyville's at the mercy of a massive parasprite swarm, and it's up to you to save the villagers! 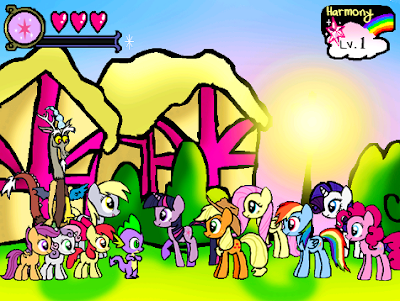 If you don't get it together quickly enough, the town and perhaps all of Equestria may fall to the pests. Now, new board games are always a treat, but Parasprite Panic is certainly one of the most impressive we've seen in a while! More... after the break! Lexo Astonov recently released another video preview of his upcoming game, TEMNO, and I'm quite impressed with how much progress he has made since he released the first few screenshots of his pet project. The video seems to be mainly showcasing the improved grass and "physics"; although in my opinion the one thing TEMNO could use the most is some decent level backgrounds. Sure, it has a couple hills here and there, but some trees, rocks and whatnot would really make the game feel much less static than it does in its current state. Update: looks like Astonov has decided to throw some trees into that scene. They still need some work, but they're there...and below the break, because this post would be too big if it were above the break. It's been a tumultuous week for the fandom, huh? Not to worry - I'm sure you guys can create games faster than Hasbro can type up C&D notices. 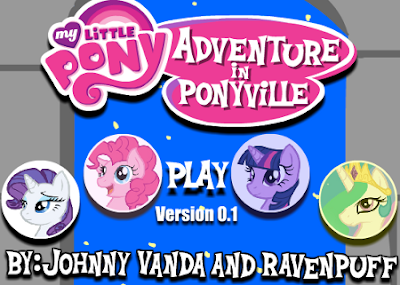 Today, we've got an old-fashioned, point n' click exploration of Ponyville that has all the innocence of season 1. Story-wise, Adventure in Ponyville seems to be pretty run of the mill. 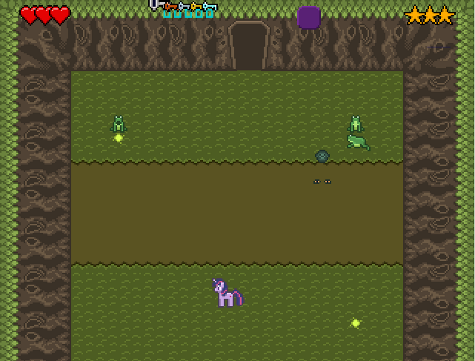 As a new arrival in town, you spend your time meeting ponies, playing minigames, and earning "friendship points." Hopefully, we'll see a plot in later installations. Don't let the lack of story turn you off immediately, however. Adventure in Ponyville's graphics are close to show-accurate and entirely original: certainly a sight for sore eyes. In a couple of scenes (most noticeably Pinkie's minigame) they're not yet finished, but the majority of the game looks great. Finally, don't forget to click around a bit - innocuous books, mushrooms, and flights of stairs yield themselves readily to your wit. Enjoy! Seems that A Chaotic Crisis game we originally posted about a couple weeks ago has evolved from an adventure game into a sidescroller, and as much as I like old-school point & click adventure games I think that this game would be much better as a sidescroller. From what the creator told me the game is now going to split into six parts: the first of which stars Twilight Sparkle. I still think that the game would look much better if WaltzBrony didn't bother adding gradients to the environment, but in the end it's the gameplay that matters most, right? Also, is it just me or is that Fighter Maker 2002's logo in the top right corner of that poster? For the longest time Fighting is Magic has been the flagship Brony fangame, and has received much attention from the media. Unfortunately this fame has come at a cost, and Mane 6 has recently been on the receiving end of a cease and desist notification from Hasbro. From the announcement it seems that negotiations with Hasbro have been unsuccessful, so we can effectively flush all hopes of playing Fighting is Magic down the toilet. Quite frankly, I am quite upset with the whole situation. Recently Hasbro seems to have been cracking down on fan works, and their original tolerance of it that was so highly praised has been abandoned. 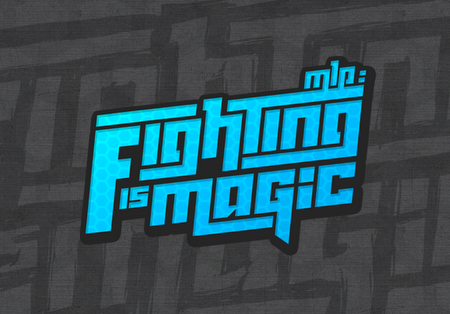 Thankfully we still have Super Smash Ponies, but I doubt that it will ever rise to the heights that Fighting is Magic had achieved. While listening to Budding Friendships' soundtrack it suddenly occurred to me that we hadn't heard from the developers since October, so I decided to look at their website. Turns out that their dev team kicked the bucket a couple days ago, but their programmer was nice enough to actually release the source code on GitHub before they made the announcement. If anypony wants to contribute to the program they most certainly can, although I somehow doubt that it will get much further. Time for another round of updates! I'm in the mood for brevity today, so - below the break! Jeez, Applejack, it's about time you took responsibility for cider season. 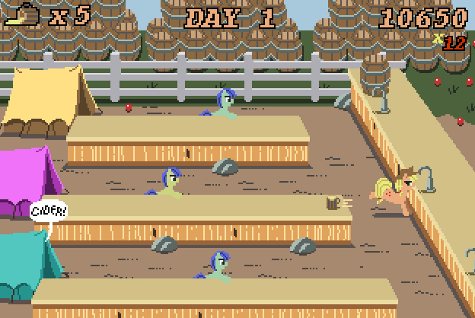 Sweet Apple Cider is a ponified remake of Tapper, the classic 1983 arcade game. Playing as Applejack, the player frantically runs back and forth between three tables in a futile attempt to buck enough cider to satisfy the oncoming horde. Gameplay is simple and addictive, and while there's only one level, it should keep you gnashing your teeth for a while. The game's pixelated charm is evident right from the title screen, which nostalgically proclaims "CREDIT 0, INSERT 2 BITS". The rest of the graphics seem homemade as well, and the game successfully pulls off the retro feel. The chiptune rendition of "Raise This Barn" playing in the background doesn't hurt. Overall? This is one of the best minigames I've played in a while. Go give it a try! It's time once again for another Lyra's List. 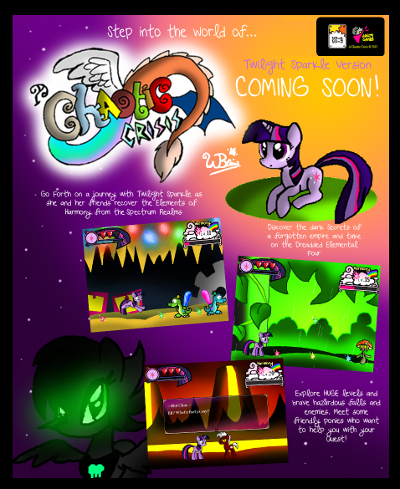 If you're interested in making a pony fangame and don't really know where to start, this is a great place. 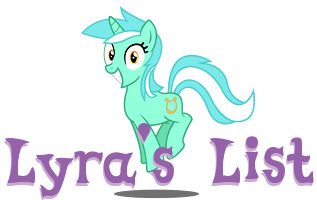 The deadline for Lyra's List #11 is February 28, 2013. You can find this month's submissions after the break. There are only 3 this time around, so you should definitely check them all out. 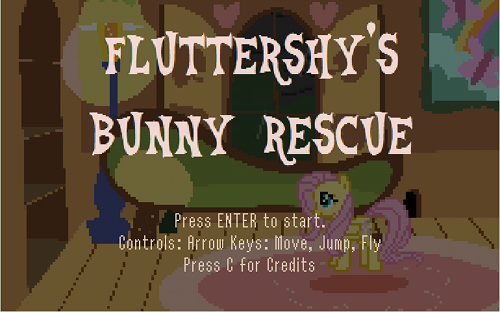 Fluttershy seems to be a fairly uncommon main character for fangames; which is understandable given her gentle demeanour, and when she is a playable main character the game almost always draws attention to her poor flying skills. It's about time that the gal gets her own game, but the fact that it's about rescuing bunnies is somewhat disappointing. Don't forget that this is the same pony that stared down a dragon and redeemed the god of chaos; shame everypony seems to forget those bits. Still, a game can still be good even if it's not exactly epic in scope, right? 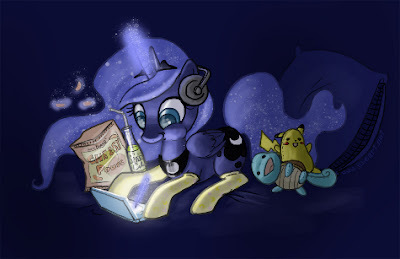 True, but to find out whether that applies to Fluttershy's Bunny Rescue one must continue to read past the break.